I've been wearing false lashes since about age 18 or 19. I clearly remember the first time I TRIED to put a pair on. It was disastrous! I must have stood in front of the bathroom mirror for an hour trying to get them on. It all landed with me in tears saying I would never ever try to wear lashes again. Fast forward 8 years and I practically never take them off. The thing is, false lashes take practice, ALOT of it. I've wanted to do a false lashes post for a while now actually and I'm not sure why I never got around to writing it. But here I am now. Let's talk about falsies from A-Z. If you are thinking of trying to apply your own false lashes, don't be afraid to try. Keep in mind that it truly takes practice to get it just right and that most likely won't happen on your first try, and that's ok. If you try with a strip lash to start and find that it just isn't working for you, try individuals or clusters or even half lashes. If you are having a rough start, you may just find that it's the lash you are using that isn't working for you. Strip lashes are my preferred lash for myself but I know that others find it far easier to apply individuals. If you are a new makeup artist, practice a whole lot on family and friends who will allow you, before working on professional clients. You will quickly notice that applying them on yourself is a very different application then applying them for others. Once again, practice is everything. Applicators matter greatly as well! I personally have always preferred using my fingers because I find it most precise in getting the lash where I want it exactly, especially when applying them on my own eyes. 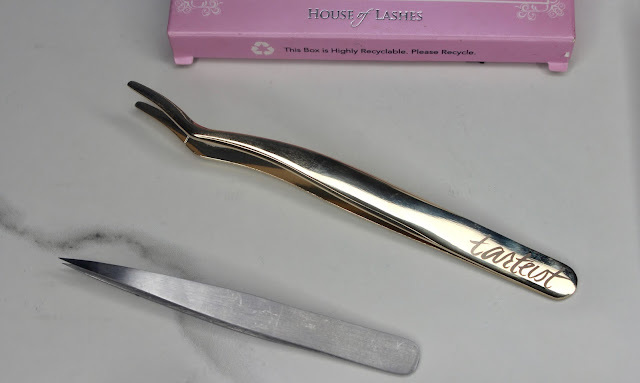 I know that others find tweezers and lash applicators to be most useful. I often use applicators and tools when I'm working on clients because it's most sanitary and I find that to work well too. I recommend trying them if you need some help with getting them on just right. Now, lets talk glues. An ideal glue will be tacky enough but not too tacky. It needs to stick the lash in place and keep it there but then set down so you don't feel a stickiness on your eye throughout wear time. A good lash glue will be wet enough to apply a thick enough line to the lash band without going uneven, but not too wet that it runs all over the lash hairs and doesn't stay put. Also, a great point to keep in mind is allowing your glue to get tacky before applying it directly to your eye. Most glues get tacky within 30 seconds to a minute. Waiting that extra time will make all the difference for how easy it is to apply. Waiting too long can also cause difficult application because you may not have as much time to place it just where you like it and move it around if necessary. So timing is key! Also, be aware of your glue ingredients, especially when working with clients. Many people have latex allergies and many lash glues have latex in them which could therefore cause a bad reaction for someone who has an allergy. I will be sharing an additional post in the very near future with all of my lash related recommendations- my favorite pairs from the drugstore and high end categories, lash applicators, glues and even a mascara. So look out for that if you're curious at all. I will also be filming a lash application tutorial taking you step by step through the process of applying different kinds of lashes, so do look out for that video as well! I hope that if you were curious about applying lashes but a bit nervous to try doing so yourself, this will inspire you to do it. Lashes can make all the difference with so many makeup looks!